"We denounce a massive fraud that is occurring across the country ... We demand the cancellation pure and simple of these skewed elections," the 12 presidential candidates, which included all main opposition groups, said in a statement read to reporters at a Port-au-Prince hotel. 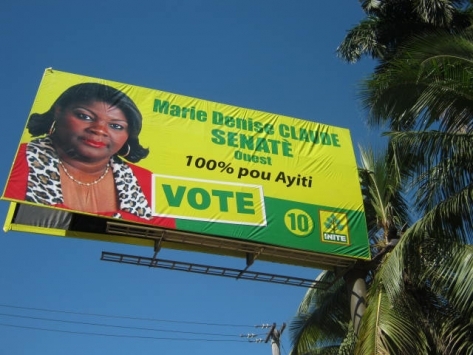 They accused the outgoing President Rene Preval's Inite (Unity) coalition of rigging the vote in favour of its candidate, Jules Celestin. This news is an unfortunate but not unexpected outcome of yesterday's presidential and legislative elections in Haiti. 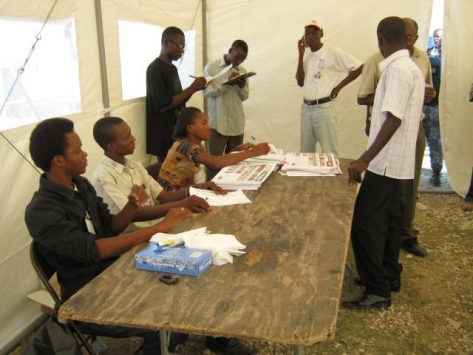 Crushed by the January 2010 earthquake and devastated by this month's cholera outbreak, the majority of Haitians couldn't vote for their preferred candidate, as the popular Famni Lavalas party was excluded from elections on a technicality. Below, a collection of images and analyses of yesterday's election gives a limited view of the election's outcome; this week will be critical as election results will not be released until Sunday, December 5. 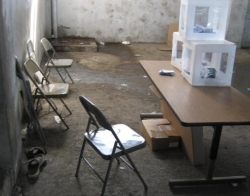 Unless otherwise indicated, the photos here were taken yesterday, November 28, 2010, during Haiti's presidential and legislative elections by Jean Ristil Jean Baptiste, a Haitian photojournalist. 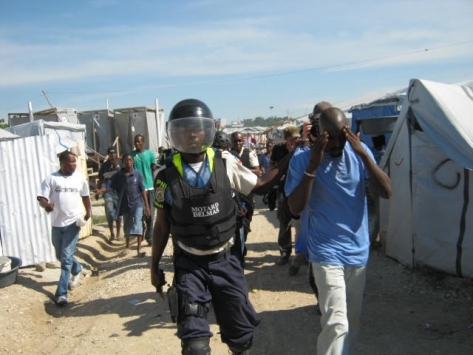 "Democracy in Haiti is further threatened by an occupation force: the so-called UN peacekeepers. They are not peacekeepers, they are there to reinforce the coup that ousted president Aristide in 2004. 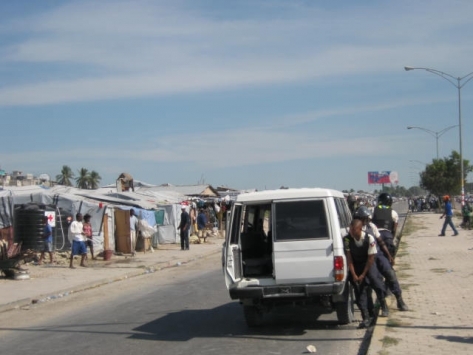 Under the pretext of 'peace and security,' they were brought in shortly after the coup, and instead of supporting Aristide's right to return, they were put in place to ensure that the Haitian people did not rise up to bring back their democratically elected president." —Mario Joseph, Haiti's leading human rights attorney, CBC News, November 25, 2010. "It is my fear that there will be unrest and violence. We already have a lot of protests in front of the [Conseil Provisoire Electoral / CEP], National Palace, prime minister's office. My fear is that the authorities could open fire on protesters. It won't be the first time that this has happened. This election will be a crisis whether it happens on November 28 or not. —Mario Joseph, Haiti's leading human rights attorney, CBC News, November 25, 2010. Whoever inherits the palace will be beholden to donors who provide 70 per cent of the [country's] budget. "Once in power you become prisoner of the international community if you want assistance," said Robert Fatton, a Haitian-born politics professor at the University of Virgina. "Whoever wins will face the same constraints, though some people may negotiate the terms of Haiti's dependency better than others." —Rory Carroll, The Guardian, November 25, 2010. 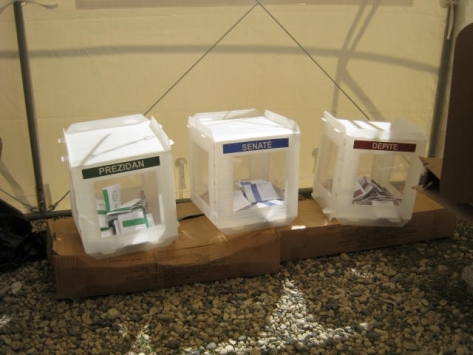 Mark Weisbrot, co-director of the Center for Economic and Policy Research (CEPR) which sent observers to the election, called for the results to be scrapped. "From the banning of the country's most popular party from the ballot to election day irregularities including numerous reports of ballot stuffing and the disenfranchisement of numerous eligible voters, these elections were an obvious farce from start to finish," Mr Weisbrot said. Edmond Mulet, the Guatemalan diplomat who heads the [UN] mission [to Haiti], said the election was going "well"—a statement considered bizarre if not absurd, our correspondent says. —BBC News, November 29, 2010.